Will I Retain My Book Rights If I Enter? Absolutely! It’s your book, you can do whatever you wish with it. You retain full rights to any work you submit. We only accept mobi, Word doc or docx formats of your complete novel. What If I Don’t Have A Mobi or Doc File? We do not convert files for you, but you can get a mobi file of your book from Amazon KDP or Smashwords. See instructions for how to get files here. Can I Enter A Book That Has Not Been Released Yet? No. We will accept any indie book that has been published after 2012, but the book must be currently available to the public. Is There A Minimum Word Count For Entries? Fiction entries are limited to independently published, full length novels consisting of 45,000 words or more. Non-fiction entries are limited to independently published books of 25,000 words or more. Childrens books do not have a minimum word count. Novellas/Short Story Collections should be between 7,500 and 45,000 words. What Do You Mean By Independently Published? Any books you enter must be independently published and your own work. This means the book must be self-published by the author (You). In other words, you retain full rights to your book. We have broadened the award to include books published by small, independent presses. Acceptable Books: If you are self-published through sites like Amazon’s KDP, Smashwords, Createspace or Pubit, or you are published through a vanity press where you retain your rights and remain autonomous, you can enter your book in the Best Indie Book Award™ contest. We have broadened the award to include books published by small, independent presses. Not Acceptable: Your book is published by major publishers, such as HarperCollins, Simon & Schuster. Penguin, or any other major publisher and you have a contract where you do NOT have full publishing rights. I Live Outside The United States, Can I Still Enter? * In rare cases, due to the high cost of shipping outside the United States, a physical award may not be shipped to a winner that lives outside the United States. We will, however, do all we can to ensure winners receive their trophy. In such instances, we will contact the winner to make arrangements for delivery. If no viable method of delivery is available, a certificate will be mailed in lieu of a trophy, and the winner will also receive the digital award emblem to use that all winners receive. To date; all of our winners have received the physical trophy. Can I Enter More Than One Book? You may enter more than one book in the contest, but each entry must be accompanied by the $50 entry fee. So, if you enter two books in the contest, your entry fees will total $100, and so on. *Entry fees are non-refundable. Can I Enter The Same Book In More Than One Category? Yes. You may enter the book in multiple categories. There will be a $50 fee for each category entered. Entries will be judged based on multiple writing skills, which include story-telling ability, author’s ability to engage the reader, transitions, pacing, movement of the story, author’s skill with voice, character, dialogue, and narrative. Grammar skills will also be taken into consideration. How Can You Judge A Contest So Quickly? Submissions Close Oct 1st And You Announce Winners By December 15th. We are often asked by authors if we have late entry options, so we chose to keep the contest open as late as possible for authors finishing new projects who may want to enter in that given year. This is not uncommon with contests. But it’s also not easy on the contest owners, coordinators and judges, as it intensifies the work required to choose the winner. As for judging quickly, there is nothing quick about the judging process. In fact, the judging process is very intense. We begin judging as soon as we begin taking entries, and the judging process has multiple stages. There are three major judging tiers in the BIBA contest, followed by an intense finalist round that has several phases. For example, an author enters his book. It is immediately positioned in the category entered. Within a few days, the coordinators look at the book to determine if the category entered is appropriate for the book. (Sometimes we recommend that an author change the category to give them the best chance.) Then we read the first ten to twenty pages to determine if the writer can open a story with the proper hooks. This is Tier One of judging. If the author passes the first tier of judging, the author moves to Tier Two, at which point the judges are looking more critically at the way the author handles narrative, dialogue, and pacing. And so on up through Tier Three. But in Tier Three, now the author is being pitted against other authors. In the first two tiers, the author is really only competing with him/herself. By Tier Three, your book has gone through some intense evaluation, AND has oftentimes been heatedly debated by judges. Pat yourself on the back and treat yourself to a good dinner out. In the finals, the going gets even tougher for the authors, as they are then being stacked against other authors who have passed the first three tiers of the contest. We may have thirty books in any given category in the First Finals Phase. If you make it to the first round of finals, you are doing an awesome job. But then those finalists must be reduced down to just five, which is a major undertaking in itself. At this point, judges begin reading with the intent of reading the full manuscript. You can bet that by the time an author gets to the Mid-Finals, their novel is being read in its entirety. Each tier, and how well an author passes all the checklists, determines how much of the manuscript is read. This is much like the role of an editor at a major publishing house. Editors do not read a manuscript entirely before making a decision about how good the author is at their craft. Likewise, no major contest can read every entry in its entirety in any given year of a contest, because there simply is not enough manpower to do so, and the entry fee would be astronomical. It doesn’t matter at what point in the year you enter the contest, your book will go through the same exact judging process. And that, folks, is how our contest works. Not quick at all. Winners will be announced by December 15th of each year. 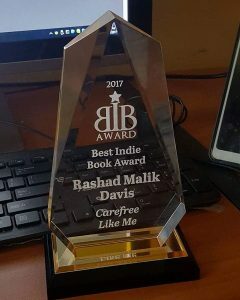 What is the Best Indie Book Award? The Best Indie Book Award™ is an annual literary award contest recognizing independent authors in ten major genres. Entries are limited to independently (indie) published books, including those from small presses, e-book publishers, and self-published authors.